April 02, 2013 – Boulder, CO – ZEAL Optics announced today they are now the official eyewear sponsor of the 2013 King of Wake tour, the world’s elite wakeboarding series. 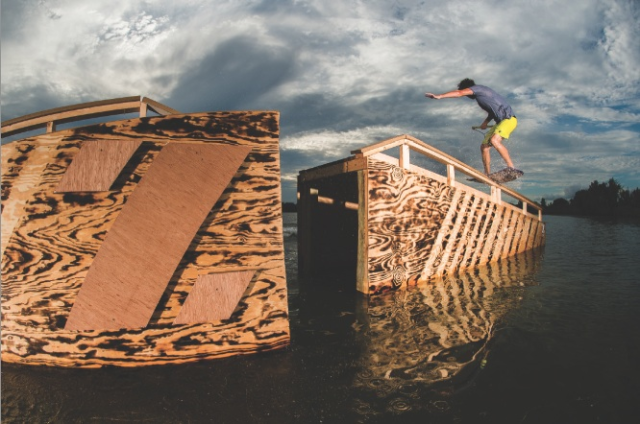 ZEAL will be present at each of this season’s eight King of Wake tour stops. Partnering with the tour aligns Zeal Optics alongside the top wake athletes in the world, including ZEAL’s very own Brian Grubb. The entire series will be featured nationally on NBC Sports. King of Wake, which begins in Orlando this month, is recognized as the most prestigious wakeboarding tour of the summer. Along with the new partnership, the ZEAL events team will be traveling to each stop to support the series with the ZEAL’s EXPLORER Trailer, which contains the full line of lifestyle, active and performance sunglasses by ZEAL. ZEAL polarized sunglasses offer unparalleled protection and prevention from UVA, B, and C, as well as being able to identify and block a negative light range called High Energy Visible (HEV) light. Look for the ZEAL’s EXPLORER Trailer to be present at all King of Wake events, where you can check out ZEAL sunglasses, including ZEAL’s new e-llume lens, the first plant based lens in the world. Based in Boulder, Colo. ZEAL Optics is known for precision crafted eyewear that pushes the boundaries of Outdoor and Optical experiences. With handcrafted design straight from the heart of the Rocky Mountains, ZEAL Optics has defined itself in the optical industry through innovation in both the Goggle and Eyewear advancements. For more on ZEAL Optics check out www.zealoptics.com and stay tuned to www.facebook.com/zealoptics for everyday updates. The King of Wake is the world’s elite pro wakeboarding series, attracting the sport’s top athletes from throughout the globe. Over the course of a season, athletes compete for the ultimate wakeboarding crown in a series points race of eight events throughout the United States to see who rules the wake. The 2013 series consists of all five stops on the MasterCraft Pro Wakeboard Tour, the Nautique Wake Games, the Nautique WWA National Championships, and the Rockstar WWA World Championships Presented by Supra. The King of Wake is organized by World Sports & Marketing – the leading wake-events producer since 1988.